What Are the Requirements for Setting Up a Suite in a Business Location Per Mailing? One of the necessary tasks of setting up a new business is establishing a proper mailing address. For some home-based businesses, the address is ... home. Some entrepreneurs elect to set up a separate mailing address, however, either at a local post office or at a suite within a business storefront. No matter where the address is located, observe postal regulations about what constitutes a valid suite address. Some suites within a commercial storefront are legitimate brick-and-mortar addresses. Suite 100, for example, as a defined location allocated to a specific business, is a valid mailing address. However, some suites are virtual; some office-space companies allow a business to use conference rooms and receive mail in a central hub for a modest monthly subscription fee. In either case -- physical or virtual -- using "Suite X" on the address conforms to postal service regulations. A suite must be in a commercial space; it cannot refer to an apartment, for example. Some companies, like the UPS Store, rent private mailboxes to personal and commercial clients. The Postal Service classifies them as commercial mail receiving agencies -- CMRAs -- and regulates them in an effort to prevent mail fraud. 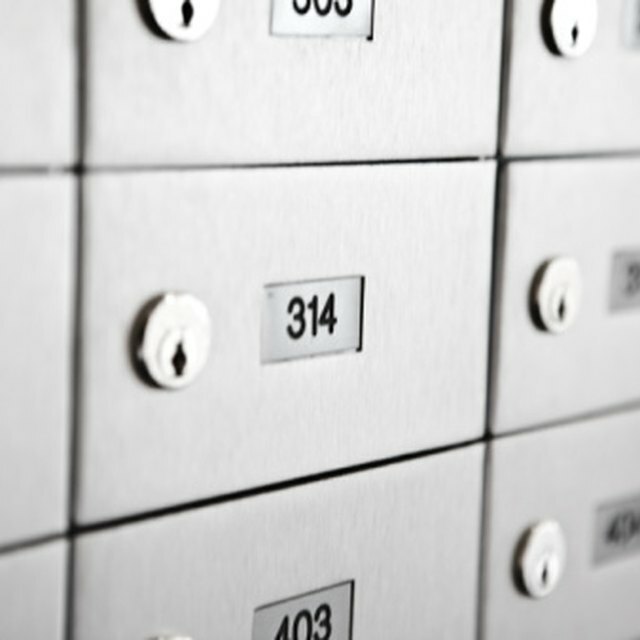 If you rent a mailbox from a CMRA, its mailing address the agency's street address, and the box number, identified either by the acronym "PMB" -- for "private mailbox" -- or a pound sign and the box number. For instance, the address could be stated as "123 Main St., PMB 456" or "123 Main St. #456." The USPS has fairly strict regulations about what constitutes a valid delivery address, with full requirements outlined in the Domestic Mail Manual. If mail does not conform to USPS standards, a piece may be returned to sender as undeliverable. Before 1999, many businesses with private mailboxes used "suite" to identify their box numbers. USPS regulations changed that year to prohibit this convention and require the acronym "PMB" to identify the box number; in 2000, after feedback from thousands of small businesses as well as from the Direct Marketing Association, the USPS agreed to allow a plain number sign in private mailboxes' addresses. Can You Use a PO Box to Register a Business? Some CMRAs require you to apply in person to rent a private mailbox, while others permit you to do so online of via the mail. Bring two forms of identification, at least one of which has your photograph, which show your legal home address. If you're opening the mailbox for your business, the identification you provide must show that you conduct business at the address listed -- for instance, utility bills addressed to your business. Alternately, you can use your business license or other official documentation. If a physical or virtual suite in a commercial space is not an option, consider using a Post Office box for your business mail. The USPS rents boxes of different sizes for different term lengths. Although this option may not be for everyone, if the goal is to simply receive mail at a location other than your residence, a P.O. box may be a viable alternative to private mailboxes.